Hong Yu, age 46, is a seasoned executive with extensive knowledge in strategic analytics, wealth management, and investment research. Prior to Biostage, Mr. Yu was most recently a Senior Vice President responsible for strategic analytics at Bank of America, where he was employed for nearly 20 years. 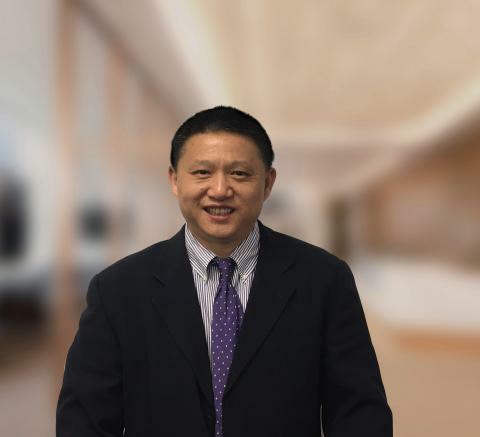 During his career, Mr. Yu has built strong business connections in various industries, including biotech/healthcare, financial services, and robotics/artificial intelligence. He developed an expertise in matching emerging companies with cross-border investors, often providing U.S. companies with market access to the vast capital supply in China. Mr. Yu graduated from Huanggang High School (Hubei, China) in 1990 and obtained a B.S. in Biophysics from Peking University (Beijing, China), and M.S. in Biostatistics from School of Public Health, University of Illinois (Chicago, IL). Mr. Yu is a charterholder of Chartered Financial Analyst (CFA).